and I just changed the bird’s tail and those two wings. I made those beautiful wings really easy to make by free motion embroidering all those wing parts instead of appliquing them…talk about lazy! (Now that you’re seeing my version next to hers, you can see how much more beautiful that bird could have been!) 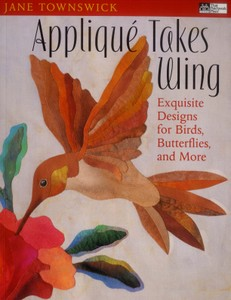 Anyway, it’s a great book with lots of beautiful applique projects, so that’s the give-away for today. If you’d like to enter this competition, all you need to do is post a comment to this blog post by 12:01 am on Mon 12/20/10. The drawings for all give-aways in this marathon will taken place sometime during the following week and I’ll get them posted on the blog once they’re done. I’ve got some travel, work, Christmas shopping, then more travel coming up, so that’s why I need a week to get this done! Thanks to everyone who has written a comment or wished me happy birthday; it means a lot to connect with people who are reading this blog. Sorry I have not been able to respond to all the comments and emails and please don’t think that means I didn’t appreciate them. Good luck in the give-aways and happy holidays to all! Filed under Free Motion Embroidery. Happy birthday!! You know I love all that you do!! Sending you birthday wishes!! 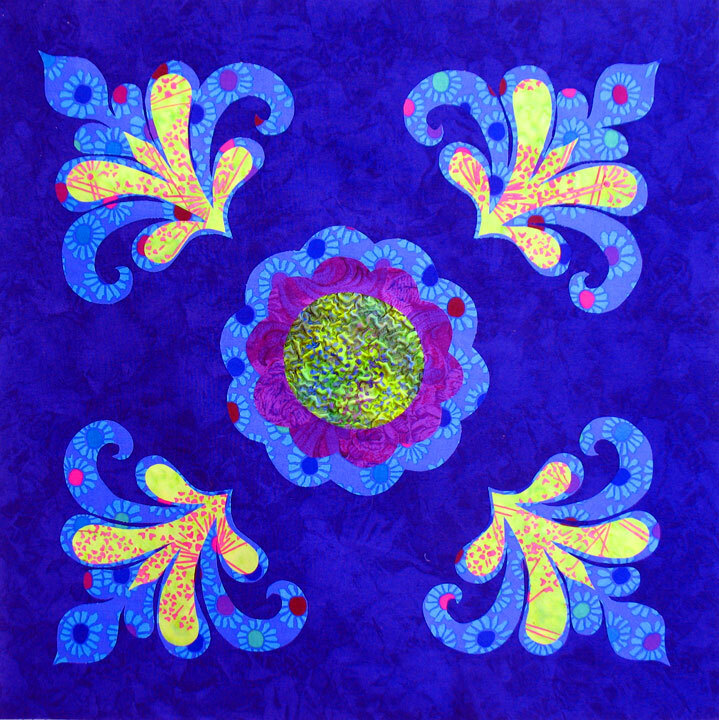 You have done some beautiful work and have inspired me to once again return to my applique lap quilt and get it finished in 2011. Thanks! Happy Birthday!! Beautiful work… Love it! I love your work. You have inspired me to learn free motion quilting. 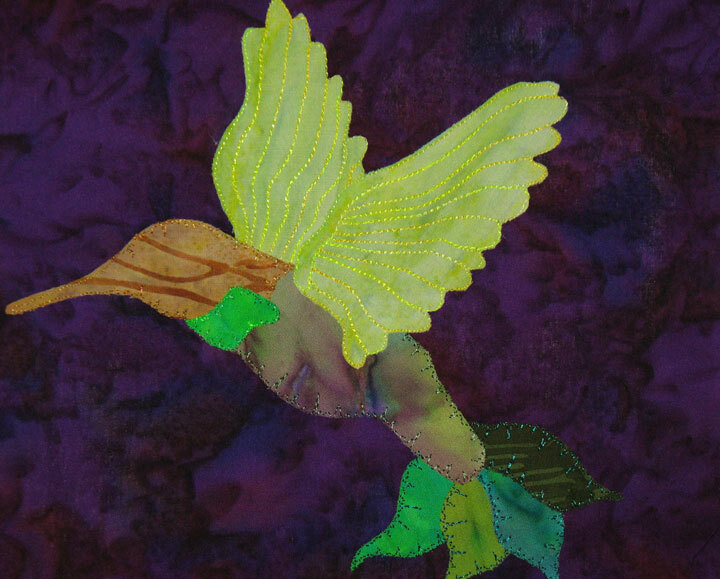 The hummingbird is my favorite bird and I would love to try to applique it! I have been wanting that book for a long time. I love the hummingbird on the cover! Your version is just as beautiful, but in a different way. Happy Birthday! Thanks for letting us share your birtday celebration and for the wonderful giveaways. Happy Birthday. thanks for sharing and being so generous. I think the embroidered wings are great, besides isn’t laziness the mother of all good inventions? or is that good intentions?….hmmm. Merry Christmas and Happy Birthday….how good can one month be?? This has been a fun series of blogs for your readers and I hope it has been as much fun for you. Of course, the chance to WIN something always enhances the reading! Looks like a book I would love. Hope you had a wonderful birthday! Thanks for the opportunities to win! I hope you had a wonderful birthday. I find your website inspirational. I see what you are currently doing and I want to get to my machine! Thanks for being so sharing. Hope it was the best birthday EVERY (and next year’s tops this one!). Truth be told – I like YOUR version best!! Happy Birthday, fun and safe travel and a very Merry Christmas. Happy Birthday & Seasonal Greetings from South East Asia! I subsribe to your YouTube and they are awesome. Love your applique. I’d appreciate if you can give the die cut # for each die you used on Sizzix. Love your designs, especially the quilting. Sure would like to win something on your site. Happy birthday Patsy and happy holidays as well! Your runner made witht he Sizzex is gorgeous! I’ve been so busy working on customer’s quilts for Christmas that I haven’t had a chance to check your blog lately. Looks like you’ve been having some fun! Ooops. I’m too late, but I still wanted to post to wish you a very Happy Birthday. I’ve always loved this hummingbird design (all of Jane’s book) but haven’t had time to do any hand applique in quite some time. Your beautiful machine applique sewing has inspired me to give this one a try. Love your work! Thanks. I recently broke my hip and spent my recovering days watching your videos, then practicing on paper and finally adding feathers to a quilt. Thank you so much for the inspiration. A very Happy Birthday to you!